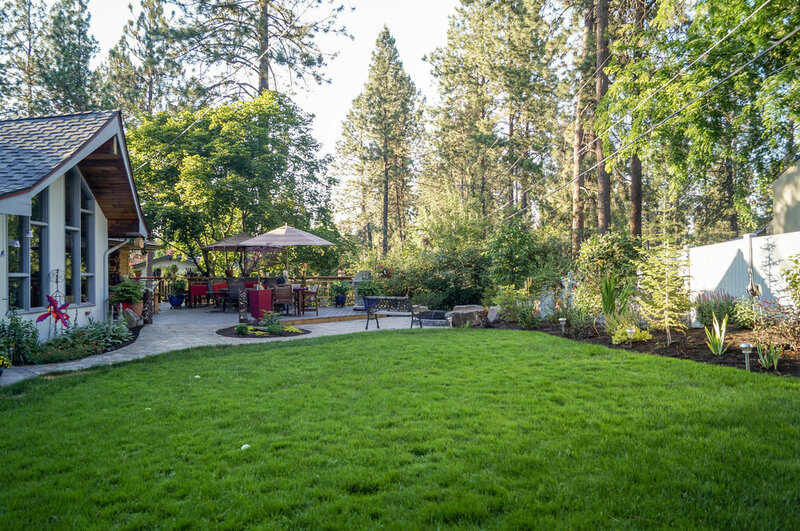 While these homeowners' 1966 Asian-inspired rancher was built for entertaining, the backyard wasn't living up to its potential. 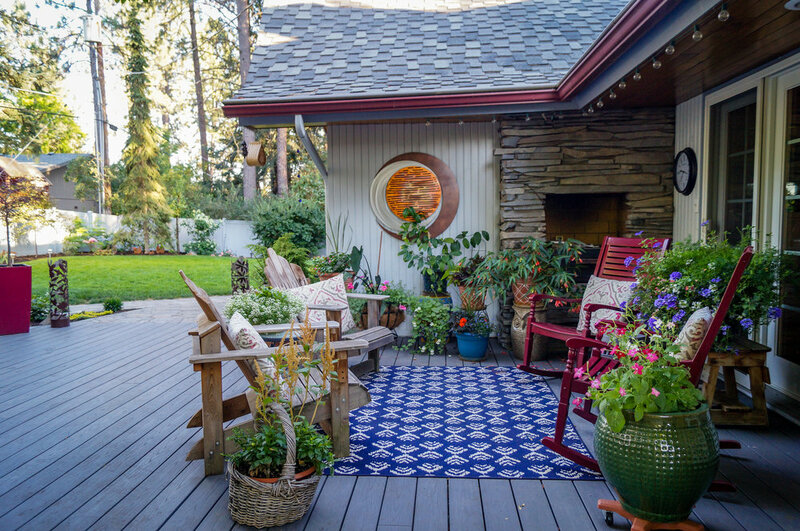 A combination of crumbling composite and wood decks wasn't functional and had become an eyesore, so they were replaced with an expanded single-level PVC deck. 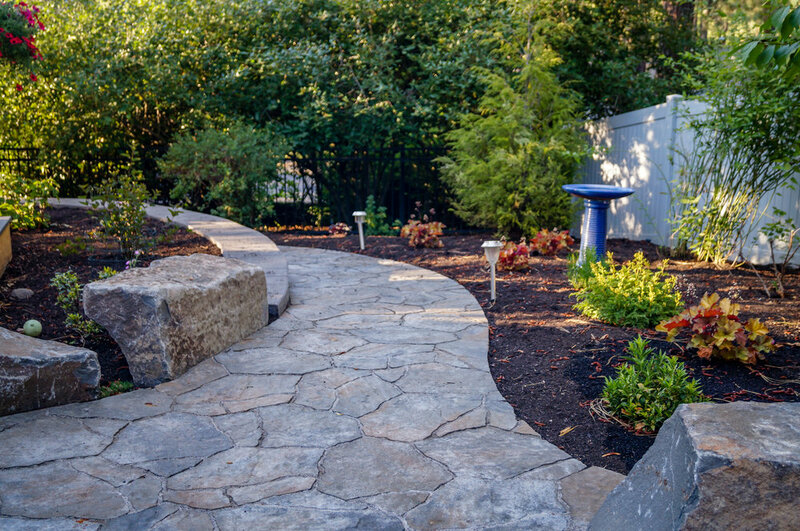 A new paver patio features a sunken fire pit and inset bench rocks, providing further space for entertaining. 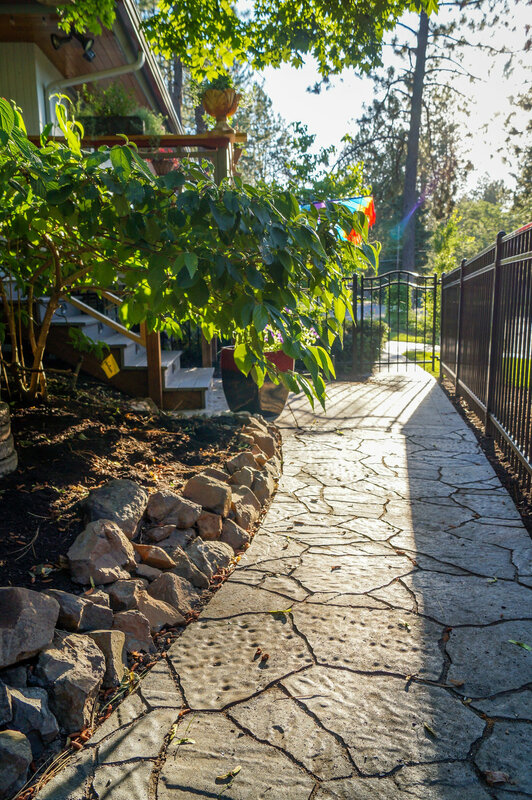 Additionally, a paver path wraps around the existing retaining wall and ramps up to the deck, providing a barrier-free entry to the house that will enable the homeowners to age in place.